In reviewing Devialet’s D-Premier integrated amplifier-DAC plus analog-to-digital converter plus phono stage, it’s tempting to say something about there being another French Revolution -- and that’s such a cliché. But it’s also fitting, because of where the D-Premier is from and how it performs. 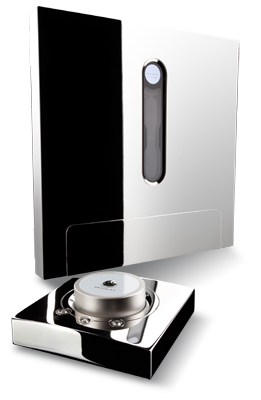 Devialet is based in France, and their D-Premier, which retails for $15,995 USD and is the company’s first product, is not just good but truly great, distinguishing itself in so many ways that it can be considered revolutionary. The D-Premier is not the first fully featured integrated amplifier, but some of its features make it unique. 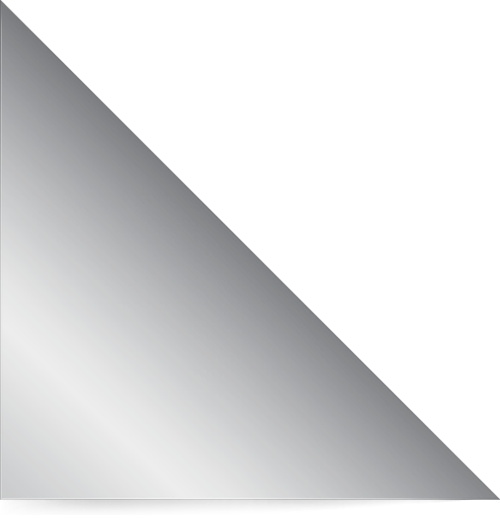 First is its striking appearance -- a relatively thin, chromed chassis milled from a solid block of aluminum, measuring about 15.6"W x 1.7"H x 15.6"D and weighing some 25 pounds. It feels solid. Typically, the D-Premier sits flat on a shelf, but it can also be mounted vertically on a wall -- an interesting option if you like your gear visible but safe and out of the way. Toward the top rear is a sliding lid that covers the connectors and gives the D-Premier a tidier appearance. The lid’s fit is tight, so there’s no rattling -- important in an amp that isn’t a mere showpiece but a high-performance component. Down the top center runs a see-through strip that looks like a touchpad for the volume control, but isn’t -- it allows signals for the RF remote and upcoming Wi-Fi option (explained below) to enter the chassis. At the front of that strip is a circular display that indicates the volume level, input selected, and phase setting. If you hold the Source button down for a few seconds, the incoming sample rate is displayed. All told, the D-Premier is one of the most elegant-looking pieces of hi-fi gear to come my way in a long time. It’s a work of industrial art. What separates the D-Premier from the rest is what’s inside. At its heart is an amplifier design that Devialet has dubbed Analog Digital Hybrid (ADH) -- essentially, a marriage of a conventional class-A amp (for voltage) with a class-D switching amp (for current). The benefit, according to Devialet, is the combination of the sound quality of a pure class-A design with the efficiency (85%) and current capability of class-D amplification. 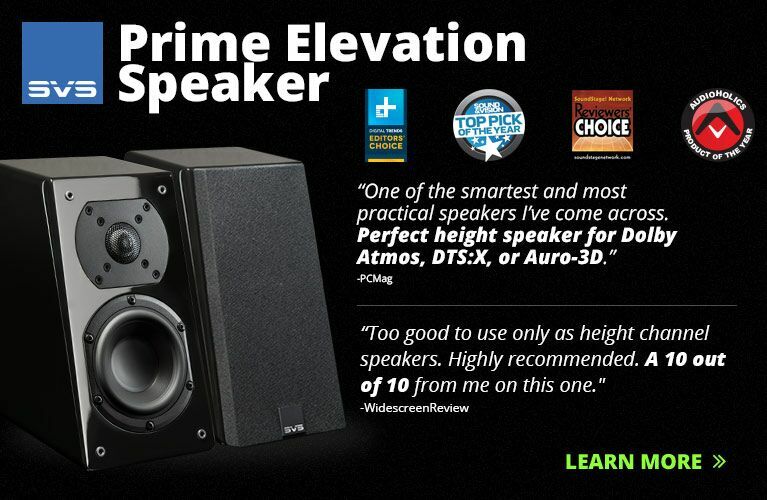 The D-Premier is rated to deliver 190Wpc into 8 ohms or 240Wpc into 6 ohms, and is claimed to be stable down to 2 ohms -- decent enough power output for most speakers now on the market. The analog signal path is said to be extremely simple and very short: 5cm (about 2"), running through only two resistors and two capacitors. 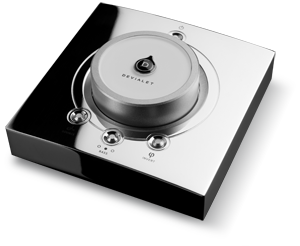 With their new technology, Devialet claims some pretty heady specs, among them total harmonic distortion plus noise (THD+N) of no more than 0.001% at full power, an unweighted signal/noise ratio of 130dB, and an output impedance of less than 0.001 ohm. But such a brief description of its technology doesn’t do the D-Premier justice. The first question that pops into my mind when someone talks about combining class-A and class-D technologies is: How did they do that? Devialet is tight-lipped about their answer -- it’s part of their core technology, and essential to their competitive edge. But to the best of my knowledge, no other high-end-audio amplifier works as the D-Premier does. Not quite as unique, but still interesting, is Devialet’s decision to make the D-Premier a fully “digital” design in the preamplifier stage, including the volume control. The digital inputs are plentiful: one AES/EBU (XLR), two TosLink (optical), two S/PDIF (RCA), and one HDMI 1.3 (there’s also an output). The AES/EBU and S/PDIF inputs can accept resolutions from 16-bit/44.1kHz to 24-bit/192kHz; the TosLink inputs go from 16/44.1 to 24/96. The HDMI input, which I desperately wanted to try, is said to support high-resolution formats from Blu-ray or SACD players. Unfortunately, while the connector was there, it wasn’t yet operational -- it’s for a field-upgradeable update that Devialet says will be offered later this year. Conspicuously absent is a USB connector; instead, another upgrade, scheduled for the middle of this year, is wireless capability (up to 24/192), which, if it works as advertised, will be a heck of a lot more convenient than any wired connection. But will it be as good? The D-Premier’s two RCA-based analog inputs are digitized at 24 bits and at a user-selected sampling rate of 96 or 192kHz. (The default setting is 96kHz because of the improved noise performance at that rate.) 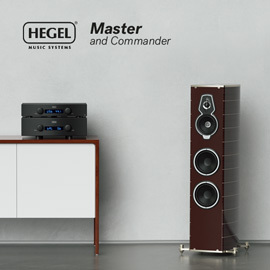 Both sets of analog inputs can be configured by the user as typical inputs for the connection of any line-level source: CD or SACD player, tuner, tape deck, etc. 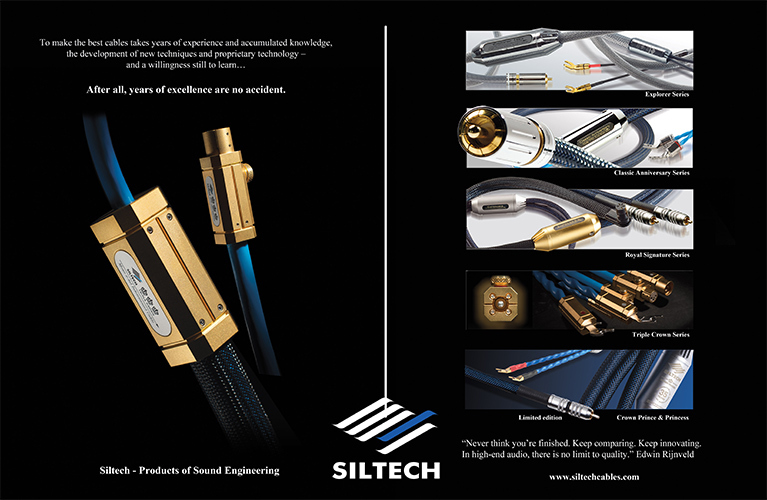 They can also be configured as moving-magnet or moving-coil phono inputs, with RIAA equalization done by DSP. I didn’t test these as phono inputs, but I did test their line-level capability with a Simaudio Moon Evolution 650D DAC-transport ($8000). (Later in this review, I explain my thinking on the pros and cons of connecting analog sources to this unit.) If you want additional digital inputs, the left and right channels for the Line 1 input can be changed to S/PDIF inputs. Custom configuration is slick -- the settings are programmed on an SD card that the user inserts into the rear panel, and read when the D-Premier is powered up. That rear panel includes a few other connectors as well: an RS-232 port, a trigger input and output, an IEC power-cord inlet, and, of course, the speaker binding posts. All connectors are of high quality and well laid out, but if I have a nit to pick, it’s this: Because of the low-slung chassis, spade-terminated speaker cables aren’t really practical unless you hang the back end of the D-Premier off a shelf so they can drop below, which is what I did. Banana connectors are the most practical way to connect cables -- a price to pay, I guess, for such a compact design. That remote control, too, is a work of industrial art: very simple, with an appearance that matches that of the D-Premier itself. Also machined from a solid block of aluminum, it measures 4.6"W x 1.7"H x 4.6"D and is finished to the same high standard. The large volume knob in its center has a retro look to it, and enough drag that it didn’t spin out of control. Above the volume control is a power button that takes the D-Premier out of standby mode, which is the amp’s default state when first plugged in. Below the volume knob are three buttons, for Input, Subwoofer (it’s possible to configure a subwoofer output for a 2.1-channel system), and Phase. The first time I powered up the D-Premier was not unlike the very first time I started a hybrid car -- I couldn’t tell it was on. The best electronics today are quiet, but nothing else I’ve heard has been this quiet. With my computer system hooked up to the AES/EBU input and no music playing, I could turn the volume up and up and up -- yet even with my ear pressed to a tweeter, there was no hint of any hiss to tell me that the D-Premier was working at all. The only time I heard any hiss from the D-Premier was when I hooked it up to the Moon Evolution 650D CD player’s analog outputs -- and even then, I had to turn the volume way, way up before I could hear the 650D’s circuit noise. The D-Premier seemed to produce no noise of its own, allowing music to emerge from a background of complete silence. I did listen to the 650D’s analog outputs through the D-Premier’s line-level inputs, but that was less to critically assess the Devialet and more to tell me how well the D-Premier’s A/D conversion was working, and if it would be a detriment to those buying it. I used the D-Premier’s default 96kHz setting, and there was no problem whatsoever -- in fact, the D-Premier’s ADC was startlingly transparent, letting the Simaudio 650D’s sonic signature shine through perfectly. There was no way to compare the Devialet’s A/D input with a non-A/D input, but as far as I could tell, the D-Premier added to the sound no artifacts or colorations of its own. If you have analog source components, don’t fear to use them with the D-Premier -- but here’s the thing: Is anyone going to use an $8000 CD player having its own DAC section with the $15,995 D-Premier, which itself is also a DAC, and put their source signals through all those conversions? That sounds unlikely. Probably, most will use the D-Premier’s analog inputs for their tuner, tape deck, or turntable. For critical listening, I used the D-Premier the way it seems to have been designed to be used: with a digital music stream. The source was my Sony laptop plugged into the AES/EBU input. I use Blue Circle Audio’s USB Tunnel digital converter for USB to AES/EBU, and the speakers were my reference Revel Ultima Salon2s, one of today’s best all-round designs. I was treated to sound that floored me -- not once or twice, but every time I listened to it. The D-Premier sounded as smooth in the mids and highs as the best tubed preamps and amps I’ve heard, as clean and pristine as the best solid-state components, and quieter than either. The D-Premier also packed a punch that belied its size, powering the big Salon2s to high, high levels without once approaching clipping, and with bass control that gripped the three woofers of each Salon2 as if in an oversized vise. The gorgeous, compact D-Premier had the clout of an amp many times its size. Whether it was the D-Premier’s deep, tight bass, its ultrasmooth midrange, or its effortless highs with no hint of hardness or edge, I found plenty to praise and nothing to criticize. Aficionados of the bulbous, overrich sound produced by some old-school tube amps may not find the Devialet’s smoothness syrupy enough, but I suspect most people will think it’s been voiced correctly -- it sounded oh, so natural with any type of music I threw at it. All told, its performance was damn near perfect for someone like me, who prefers a sound that’s completely faithful to the recording, with no trace of artificiality in any part of the audioband. Anyway, that’s how the D-Premier sounded once it had warmed up -- it didn’t sound that great when it had been just awakened from standby mode. I found it needed at least 15 minutes of playing before it truly warmed up, physically and sonically. When it did, the chassis got very warm to the touch, and the sound changed from sterile, closed-in, and thin to the amazing characteristics mentioned above. If you audition a D-Premier, be sure it’s fully warmed up before assessing its sound. The characteristics I described -- great bass, smooth mids, perfect highs -- are enough for me to call the D-Premier a great integrated amplifier-DAC whose performance justifies its price. Its performance level in those areas was extremely high, bettering any combination of components (i.e., preamplifier, DAC, and power amplifier) costing anywhere near $16,000. But that’s not what blew me away; instead, it was a couple of things extra that it did that made the D-Premier’s sound revolutionary. The first had to do with resolution: The D-Premier let me hear further into a recording than any combination of equipment I’ve had here before, often letting me hear details I never knew were there. The improvement in soundstaging wasn’t subtle -- there was a substantially larger representation of acoustic space, in terms of both width and depth, and staggeringly good image specificity. For example, in “No Landing (Lucknow),” from Greg Keelor’s Gone (CD, WEA CD17513), Keelor’s voice, Anne Bourne’s cello, Francis Anil’s guitar, and Parijata Charbonneau’s tabla are positioned distinctly in various parts of the stage. With most good systems you’ll get a decent approximation of where each musician is, from left to right and from front to back -- but with the D-Premier, there was no guesswork involved. In fact, it was like looking at the musicians -- they were carved out in space in solid positions, left to right, front to back, each with a size and a weight so distinctly obvious that they were like sonic holograms in space. Besides the solidity of the imaging, it was also easy to hear the spaces around Keelor’s voice and the instruments. It was also obvious that this recording’s “soundstage,” while impressive, was created on the mixing console -- through listening to the subtle cues, I could tell that each musician had been recorded somewhat differently, which is what happens in multitrack recording. Never before had I heard that far into this recording, or had presented to me so much detail. Familiar recordings that I thought had little if any real detail suddenly revealed musical nuances that had me shaking my head in disbelief at things I’d never heard before. The D-Premier revealed everything. For some, however, the D-Premier’s resolution might be too much -- clearly hearing how a recording was made doesn’t always make for the most fulfilling musical experience. But I’m a detail freak who wants to hear the problems in flawed recordings -- and the increase in resolution made possible by the D-Premier made already exceptional recordings sound absolutely amazing. A case in point was Ola Gjeilo’s Stone Rose (SACD/CD, 2L 2L48SACD), one of the very best recordings of an acoustic piano that I’ve heard. Through the D-Premier, the sound throughout was flawless, with clarity, detail, and stage specificity the likes of which I’d never before heard, through my or any other system. Allison Brewster Franzetti’s piano on The Unknown Piazzolla (CD, Chesky CD190) doesn’t sound quite as rich as Gjeilo’s instrument on Stone Rose, but, lordy, the detail the D-Premier brought forth from this fine recording was staggering, and the positions on the stage of the piano, violin, viola, and cello were so utterly precise and well defined that I found it hard to believe that this kind of specificity could be derived from a mere two channels. The D-Premier retained every detail sent through its signal path, and took iron-fisted control of my speakers, to coax from them every last musical nuance. The D-Premier isn’t the first component that’s allowed me to hear a wealth of information in recordings, but it impressed me more than any other because it brought to light more detail than I’d ever heard before, without sounding analytical, clinical, or off-putting in any way -- which isn’t always the way it goes with high-resolution components. I attribute this to the fact that the D-Premier sounded so clean and utterly smooth while contributing no objectionable character of its own. As for why its sound was so hi-rez, I have to guess that it’s because of how intrinsically quiet the D-Premier is, the simplicity of its circuits, and the reduction of a whole bunch of other circuits. 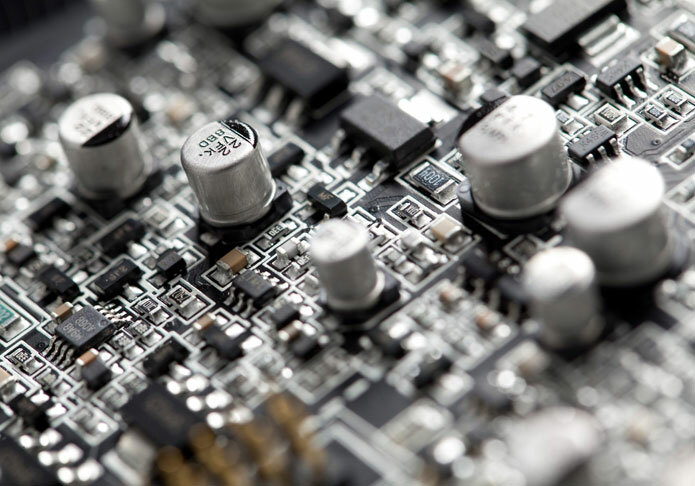 In a system of separate components, the music file or disc is read, then passed through a DAC, a preamp, a power amp, and all the associated interconnects and cables. 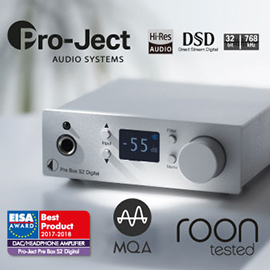 The preamp boosts the signal of the DAC, adds its own sound and distortion, and then the amplifier increases the signal from the preamplifier, adding its own signature in turn. 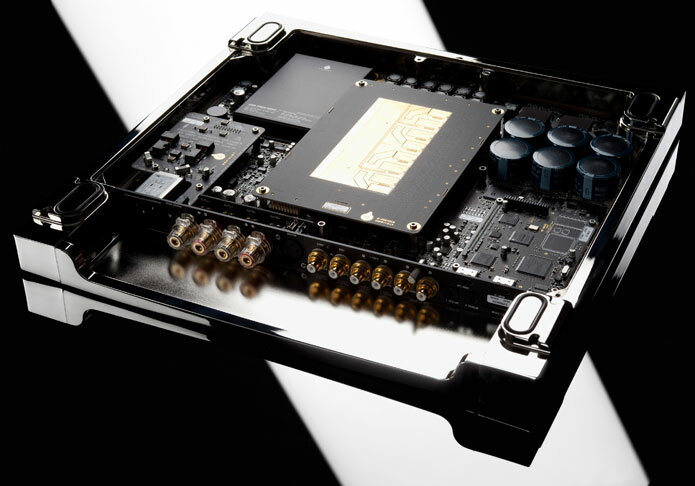 But from the literature supplied by Devialet, the D-Premier seems to have just one analog gain stage: the amplifier. The other thing that impressed me about the D-Premier was its consistency of sound from very low to very high volume levels, something I now know is not true of all preamplifiers, power amplifiers, and integrated amplifiers. 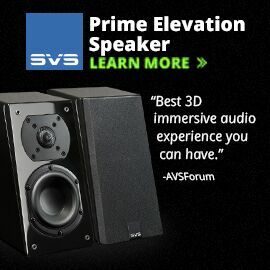 I’ve never before commented on this aspect of sound reproduction because, until the D-Premier arrived, I had nothing to say about it -- I never knew the issue existed. I do now. Once the D-Premier was thoroughly warmed up, it sounded extremely transparent, thoroughly liquid, and full-bodied, even at volume levels far lower than I normally listen to -- levels at which almost every other audio component I’ve heard sounds “weak.” I’m no loudness freak, but I find I normally have to turn up the volume to a moderate level to make the music come alive. The D-Premier gave me that feeling of aliveness even at very low levels, something I attribute to its absolutely “black” background. Because the music emerged from utter silence, as soon it began playing, I heard everything. That was impressive enough. But as I turned up the volume, the lack of any change in the character of the music’s sound was uncanny -- the D-Premier’s output remained so utterly clean that it often didn’t seem as if the sound was as loud as it actually was. This was definitely different from anything I’d heard before. Usually, as the volume is raised, even very high-powered solid-state amps start to sound a little “rangy” and a touch unrefined, even if they’re not even close to their power limits. I used to attribute this mostly to the room’s own sound coming more into play as the sound starts to echo around. After listening to the D-Premier at length at volume levels far higher than I usually do, and hearing the sound remaining so remarkably composed and clean, without any “ranginess,” I couldn’t but think that the slightly “unhinged” character that many solid-state amps exhibit has more to do with their shifting from pure class-A into something closer to class-B operation -- which means a higher level of distortion and, thus, a less refined sound. Whatever the case, the D-Premier remained remarkably composed, no matter the volume level. And I couldn’t make it clip. I suspect that if I had, at that point the D-Premier would have sounded awful -- as would any amp. If there was a downside to all this cleanness and refinement, it was when I played the kind of raucous music delivered by the recordings made by such bands as Guns N’ Roses, The Clash, and Led Zeppelin -- it can sound a little livelier when the electronics and speakers are starting to sound a little harsh and uncontrolled. After all, much rock thrives on distortion; when it’s completely gone and the recording is stripped completely bare, which is what happens through the D-Premier, it can seem a little too polite. Then again, does Neil Young’s Le Noise, produced by Daniel Lanois (CD, Reprise 25956), need any distortion added? To my ears, no way -- but this is something each listener will have to decide. Some headbangers might find the D-Premier a little too composed, even if it has plenty of power with which to crank things up high -- and some tubeophiles might not find the liquidity lush enough. That all comes down to taste; if someone doesn’t like the D-Premier because of either of those, I certainly can’t object. But for the bulk of audiophiles who are thrilled when their music is played back with unbelievable clarity, transparency, and accuracy, and who like to have resolution that’s second to none, the D-Premier provides an ear-opening experience that makes it difficult to listen to anything that’s not of this caliber. The way I’ve described the Devialet D-Premier, you might think I’d recommend that everyone go out and buy one. Of course, that’s not going to happen with a $15,995 product, nor should it. I found the D-Premier to be an exceptional performer -- better than any other combination of amplification (separates or integrated) and DAC that has entered my room. Still, the D-Premier won’t be everyone’s ideal amp. Those who like tube amps with an ultra-lush, dripping-“wet” sound might not feel the D-Premier is tubey enough, even if it is ultrasmooth -- they might still find the D-Premier too precise. And hard-rock fans might not find it lively enough. Then there are those audiophiles who need mammoth power because their speakers are even more watts-hungry than mine, and/or they like to listen at even higher volumes than I do -- people who need 400, 600, 800Wpc, or more. They might not find the D-Premier’s couple of hundred watts sufficient. For them, I only hope that Devialet comes up with a more powerful version. 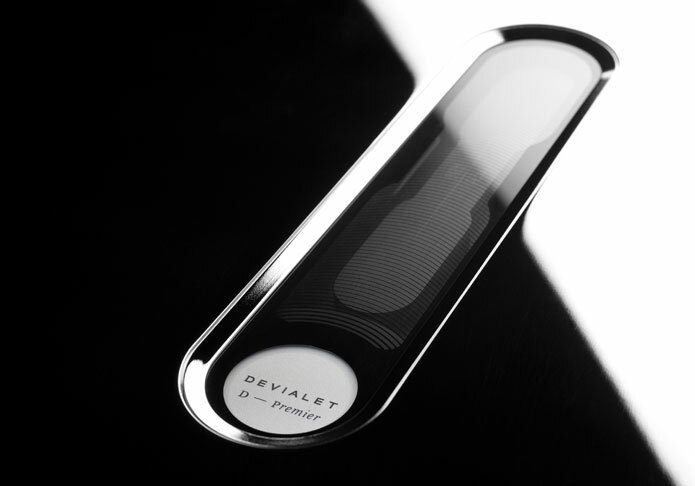 Finally, Devialet’s D-Premier is an all-in-one solution, and an astonishingly good one. I just can’t see anyone forking over big money for an external DAC or all-in-one disc player to do D/A conversion on the signal before it even gets to the D-Premier, only to have the Devialet convert it back to digital and back again to analog. That makes no sense. The D-Premier begs to be connected to a computer-based server or a disc transport, to take full advantage of its all-digital preamplification stage and excellent D/A conversion. If you have a CD player whose analog section you like, you’ll want to try the D-Premier, though I wouldn’t be surprised if you look elsewhere. But if you have a server-based system or a disc transport, you might regret not giving the all-in-one D-Premier at least a try. If you think separate components are the only way to achieve state-of-the-art sound, Devialet’s D-Premier might change your mind. Its elegant looks and slick, easy operation aside, the single-box D-Premier offers cutting-edge sound quality for what I consider a reasonable price, particularly for a component that is a DAC, a preamp, a phono stage, and a power amp, all in one chassis. In terms of resolution and transparency, the D-Premier is out-of-this-world good, and its other strengths -- extreme clarity, beautiful liquidity and smoothness, extraordinary bass, pristine highs -- put it in an exalted group that’s as close to perfection as it’s now possible to get. If you find something that improves on the D-Premier’s performance, it will likely cost quite a bit more. This isn’t an integrated amplifier that just equals what separates can do, not to mention any integrated amplifier I’ve heard; it exceeds what they can do. 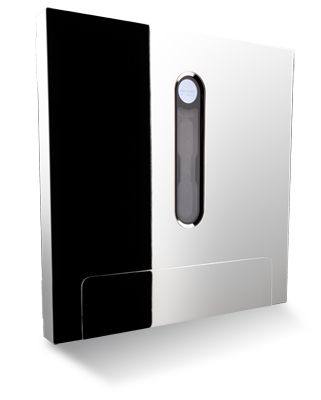 Nor can you dismiss the D-Premier’s beautiful styling, excellent build quality, compact design, and easy operation. It’s the combination of all of that with outstanding sound that makes the D-Premier not only unique, but one of the very best products on the hi-fi scene today.